Under the new policy, if multiple ads compete for the top keyword position under the same URL, Google shows only the ad with the highest AdRank. 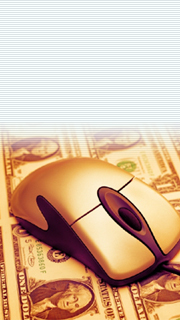 The AdRank is based on the ad`s cost per click rate and the click-through rate on the ad. Most of the controversy swirls around the use of trademarks--the difference between a search for "diapers" and a search for "Pampers diapers," for example. It`s the AdRank that determines which bidder gets the placement, upping by a notch some marketers` worries about being outbid by their own affiliates for a spot higher up in search results. Only now, since there`s only one paid spot per keyword per URL available on Google, instead of just having to put up with a lower spot in multiple paid ad listings, they face the prospect of not showing up in results at all. That means a marketer could be shut out entirely on some paid keywords, depending on how much the company is--or is not--willing to pay for the spot, and it`s more than just a possibility. Search engine marketing company Did-it.com executive chairman Kevin Lee cites one example in which retailer Brooks Brothers had the number two spot on AdWords, behind an affiliate, under a particular keyword for an item on BrooksBrothers.com. After Google`s policy change, only the affiliate`s AdWord listing remained. Underlying the buzz around Google`s new policy is the larger issue that really concerns some marketers: that is, Who controls how the brand is presented in search marketing? The question of whether being outbid by an affiliate for the top spot in paid search listings is necessarily bad for marketers is just the latest phase in that long-running discussion. Opinions on the topic fall along a continuum that ranges from that of seeing affiliates outbidding marketers on trademarks as a threat to the brand or a bid for undeserved commissions to seeing it as a route to better online sales. At one end of the spectrum are marketers who want to retain control, and on the issue of bidding on trademarks, they appear to constitute a majority. According to Shawn Collins, an affiliate marketing consultant and author of the annual AffStat report on affiliate marketing, 56% of marketers polled in AffStat 2005 don`t allow affiliates to bid on trademark names in pay-per-click search engines. "They see this practice as a matter of grabbing the low-hanging fruit, which should be their domain," says Collins. A slightly more liberal position is taken by companies that permit trademark bidding for a select few affiliates. "I tend to side with that scenario," Collins says. "It aids in pushing down ads from competing companies that are bidding on the brand." At the other end of the spectrum are opinions like that of affiliate network provider LinkShare Inc.`s CEO Stephen Messer, who believes that attempts to control every aspect of how affiliates present the brand on search engines is a mistake on marketers` part. "Growth is all about ceding partial control," argues Messer, who points out that brand marketers have already been trusting representation of their brand to third party experts--ad agencies--for years. "To grow, you look for someone who can provide a core competency that you don`t have for part of your business," he says. "The challenge is that online is still so new that companies still think they should manage everything themselves. But this is a lot more complicated than it looks." Messer adds that Google`s new policy of limiting ads per keyword per URL to one--whether it`s the marketer`s own ad or the affiliate`s listing--has had little impact on affiliates and marketers in LinkShare`s network. Google`s stated aim was to clean up redundant multiple listings from affiliates who don`t even put up a landing page but simply put up code that redirects searchers to marketers` page through their own link, for the sole purpose of collecting a commission from the marketers that exceeds what they paid for the keyword position. It`s a practice the industry has dubbed "keyword arbitrage," and LinkShare doesn`t encourage participation from such affiliates, Messer says. "Our entire message to our partners has been, they have to add value, so they probably weren`t working with us," he says. If the new ad policy does address marketers` complaints about having to pay commissions to valueless affiliates by effectively cutting these affiliates out of the bidding, it doesn`t tackle another of marketers` worries about affiliates and search engines. Affiliates that do provide content beyond a simple redirect are still competing with marketers for top spots on AdWords, and the marketers don`t control the brand messaging on those affiliate sites. "Google tends to give a higher AdRank within the paid environment to very compelling ads," observes Lee. "So the affiliate could actually bump the marketer out by using creative that the marketer might never approve itself. My opinion, based on data from our clients, is that as a merchant you really must take total control." But not every merchant agrees. BackCountry.com has severed ties with affiliates it deemed "not a good fit," but if the affiliate is producing sales within practices BackCountry finds acceptable, it leaves the details of how the affiliate markets the brand on search engines to the affiliate. In fact, it does more than that; it supports the affiliate with whatever the affiliate needs--within reason--to do the job. Vice president of business development John Bresee doesn`t see a struggle for control of search marketing between marketers and affiliates; he believes good affiliates are already in the driver`s seat. "Retailers believe they`re in the power situation because they are writing the check. But truth is, it`s the affiliate, so you need to treat that affiliate as you would anyone in the power situation," Bresee says. "Treat them with kid gloves, and make sure they`re happy." AdWord positions in particular. While marketers and service providers such as Bresee and Messer make some thought-provoking arguments for giving affiliates a freer hand in search marketing, the comments of others like Collins and Lee--and the 56% of marketers in the AffStat Report that don`t allow affiliates to bid on trademarks--show plenty of marketers believe they have reason to keep a tighter grip on how affiliates market their brands on search engines. For marketers on the fence, Stuart Larkin, vice president of partner services at online marketing company Performics Inc., lists some points to consider. In answering the question for themselves of how to balance control of search marketing with affiliates, marketers first need to determine how sensitive they are about their own brand, and whether they are looking to search marketing for maximum exposure or a more controlled reach. That should help guide such decisions as whether they want to manage their own trademark keywords, allow affiliates to use some or all of them, or even limit the use of search marketing by affiliates entirely, according to Larkin. A final set of considerations for marketers once they have those decisions lined up is how they`ll back them up. "How do you intend to monitor and police it?" says Larkin. "How do you intend to communicate your policy to affiliates, and what do you intend to do if you catch an affiliate or reseller violating your policy?" As to the long-term effect of Google`s new policy on affiliate marketing, Larkin says it`s too soon to tell. "We`ll have to let it shake out a little longer," he says. "The only thing I have heard from marketers so far is that they`ve found the search experience on Google to be cleaner. If that`s what Google was looking for, they got it."